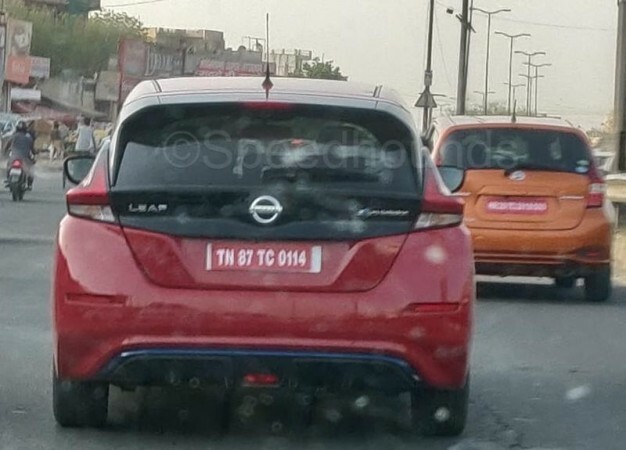 Nissan Leaf and Nissan Note ePower were spotted testing on Indian roads without camouflage, giving us a clear look at the upcoming EVs. While electric cars have made a powerful impact in markets like the U.S. and Europe, they are yet to foray into the Indian automobile industry in a big way. The lack of options while choosing electric cars, charging stations network across the country and premium pricing are some of the reasons why EVs are not as popular in India. But Nissan could bring in a fresh perspective with the upcoming launch of two modern electric cars in India. Nissan's two popular electric vehicles, Nissan Leaf and Nissan Note ePower, were spotted testing on Indian roads. SpeedHound shared rear shots of both Leaf and Note ePower electric cars running in Haryana. Unlike previously, both cars were seen without camouflage. Nissan India officials have already confirmed that the all-new Leaf EV will be launched in India in 2019. While there hasn't been a lot of buzz about the Note ePower, it will be announced alongside Leak EV something this year. Both cars will be all-eco-friendly options in the Nissan line-up. Nissan Leaf and Note ePower might be new entrants in India, but they have been available internationally for some time now. The Nissan Leaf is one of the most popular EVs in the world and it registered 95 percent sales growth in 2018 alone. Nissan Leaf offers a range of up to 400 kms on a single charge and delivers a power output of 148bhp and peak torque of 320Nm. There's a 40kWh battery, which takes about 8-16 hours to fully charge the battery depending on the power capacity. There's also an interesting quick charging feature that can power up 80 percent in just 40 minutes. In India, Nissan Leaf is expected to be launched as CBU (completely built units) imported from Japan. In the case of Nissan Note ePower, the EV comes with a 1.2-liter engine, which is used as an onboard generator to charge the battery. The electric motor in the car produces 108HP of power with a total efficiency of 37 kmpl. 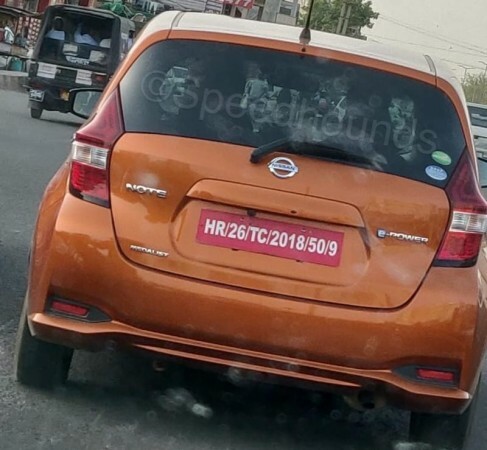 Nissan Note ePower EV is expected to be priced at around Rs 20 lakh whereas the Nissan Leaf will take a more premium approach in being priced around Rs 30 lakh or more. More details will likely emerge soon, so stay tuned.